Hagedorn expresses support to Jaycees 2009 Natcon | JCI Puerto Princesa Peacock, Inc.
We were all connected. I walk by the Governor’s Mansion about three times per week. It was the nicest neighborhood in St. Paul. It no longer has an ethnic flavor, if it ever did. The James J. Hill Mansion is a mile and a half down the street. The history of America involved ethnic communities in which people of the same place of origin formed community here. Those ethnic communities found places of worship to come together. People of the same race, color, and creed. And even though they shared a history of another land, time eroded much of an interest in their common history. I thought of that yesterday passing a number of Somali people in Highland Park. Though the Somali have a strong presence here, this week was the first time I have seen them strolling along Grand Avenue during the evenings this summer. The story of erosion of interest in the past was the same in my life. I was an Irish Catholic and attended parochial schools for the duration. Yet I never once heard much about the history of Ireland, or the ethnic history, any ethnic history, that had helped form the United States. In a sense, the plurality was denied in a day and age when there was more real diversity than in the suburban world of post World War II that seemed to bloom in the 1970s. Post World War II saw a spotlight shined on issues of discrimination against those in the community who had descended from slavery. They too lived in the same ethnic community. And until fairly recently, they never left the part of the city that they might claim as their home. But the real trend in America was that people who share race, color, and creed had moved to the suburbs, and the real ensuing conflict was building community from a scattered base. Yes, I was an Irish Catholic and had attended parochial schools. This morning there was a priest on the altar from the Phillipines appealing for help. He talked about his island where on average 14 typhoons hit each year. Maybe you have to visit a place like the Phillipines, which I have done, to be hit by how much privilege is all around American life. Because of that trip, his words hit me more deeply. He had three points to his plea for money. His second point was how his small island of the Phillipines currently provided 20 priests to 3 western Canadian provinces. His last point was about how on his island there were no parochial schools and whatever quantity of religious education was taught all came from the priest. We were all connected. Until your city experienced a bridge collapse over a major river in the heart of a downtown. This was a bridge on an interstate highway serving traffic from Duluth to Texas. The river once again divided. August 1st. The anniversary was coming soon of the collapse. (So too were the lawsuits over negligence, for that matter.) The prudent person would have taken action. I was by that collapsed bridge last night, buying wine in my favorite liquor store. I went there to buy a good bottle of wine. And a bottle of Singleton. It was a single malt scotch. But it no longer was sold here. There were different brands of single malt scotch but none of these had my loyalty. There were so many other brand names, but I did not feel that they were worthy of my choice. But to have a choice of so many labels at this store was the ultimate in privilege that no other store in town offered in wine, in scotch. Choice. It was a buzz word of an American generation. In most places of the world, there was not a choice. In that trip I mentioned, I had heard the view from the Phillipines. I talked to a bar girl there about her life. The popular explanation offered by all bar girls was “I have no choice.” What she really meant was she had no opportunity. The jobs were few. Her family needed money. Or they would starve. Half the people there lived in real poverty. And they did not really need 14 typhoons a year dismantling the shacks that they called home. The recession here was now real, affecting basic needs of housing, of food. I had been in the Jaycees a few years back. I think back to their creed. It began, “Faith in God gives meaning and purpose to human life. “ The creed further stated, “Economic justice can best be won by free men through free enterprise.” Most Jaycees were young enough not to give much though to words. I never really wondered what exactly “economic justice meant.” Does it mean that the poor deserve what they get? How did justice relate to opportunity? Did they believe in scholarships for the brightest kid out there in the community? The ideology came from the United States Chamber of Commerce and was best identified with the Republican Party. I don’t know how much thought Republicans gave to issue of privilege, standards of care, and what the reasonable person would have done. I was neither Republican, nor Democrat. But my view on politics was a lot like my view toward both religion and philanthropy, or to that bottle of Singleton for that matter. In politics, in religion, in scotch, it all started with trust. I trusted the taste of Singleton. So what now and who really was worthy of my support? Because nothing was worse in the world of philanthropy, to give the wealth which I could have spent on myself to someone and see them waste it. And the trouble with both political parties was that neither seemed quite worthy. But I had to choose if I wanted to drink something. I wanted something worthy. That bridge collapse. The anniversary was coming soon. So too were the Republicans. They soon were coming to my city, down the street in fact, to nominate a presidential candidate. To be truly privilege was to be a delegate, representing a state and all that dogma they believed in. Wealth for the most part used to be a slow developing process. Similar to love, and until you lost it, most of us never knew what we had always had. Yeah, the Republicans were coming. hMm, is mAyor Hagedorn have a scHolarship for hiGhschool gRaduate ? tHanks for the Info.. 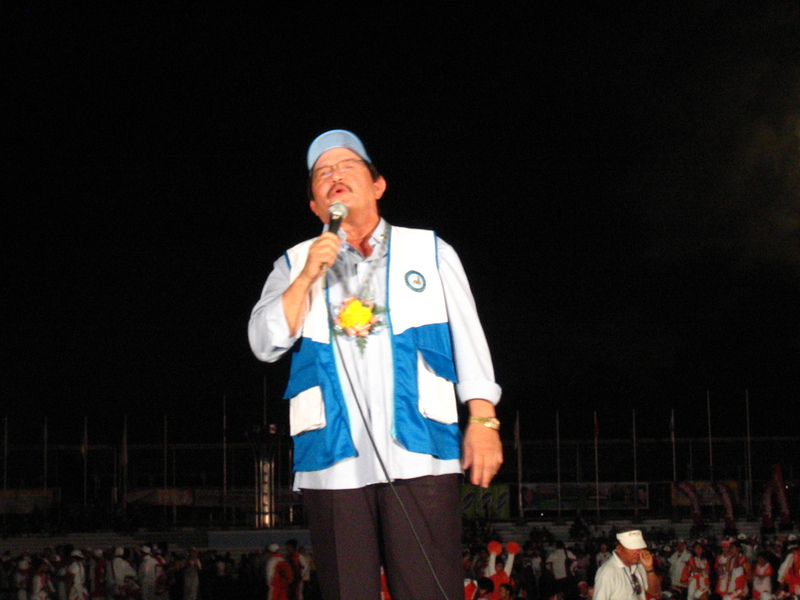 Does Mayor Hagedorn offers financial assistance for his kababayans who want to have a career training? I am unemployed and looking for a job. However, until now I still dont have a job and I want to have a 1-year training to help improve my skills. Fortunately, I passed UP Information Technology Training Center for 1year certificate course but I cant afford the tuition fee. Can I ask for financial assistance to Mayor Hagedorn? I hope someone could help me on this matter.